Our infrastructure might depend on it. Only toilet paper, pee and poo go down the loo. In American, this means don’t put anything down the toilet except t.p., pee, and poo. No diapers. No q-tips. No maxi pads. No bandage strips. No goldfish. No tartar sauce. No Swiffers. No dental floss. No condoms, no prescriptions, no Kleenex, and no Wheat Thins. And especially no wipes. Why? They are causing millions of dollars of damage to our public sewer system and endangering our water quality. Contrary to popular belief, these items don’t magically disintegrate on their way to the sewer treatment plant. They, along with fats, oils, and grease that is rinsed down the drain, are creating hellacious sewer blockages which can easily become sewage overflows. Sewage overflows often reach storm drains, ditches, streams, and lakes. Wipes are also causing terrible problems at the treatment plants, and all of this costs property owners and taxpayers huge amounts of money to fix. Wipes have emerged as one of the biggest problems public sewer systems face as their usage becomes more common. There are now wipes for every purpose under the sun including baby wipes, cleaning wipes, and cosmetic wipes. Many of these packages are marked as– collective gasp, please– flushable. The vast majority of these wet wipes are not actually flushable. They are also not biodegradable. Many contain plastic. They might go down the toilet, yes. They might make it through your side sewer to the public sewer main, yes. But they do not break apart like standard toilet paper does and many wipes travel miles through the public sewer mains to the treatment plant where they clog up screens and break very expensive pumps. You might as well be flushing a lightweight washcloth or your socks. You might have heard of Mangroomer Biz Wipes or Dollar Shave Club’s One Wipe Charlies. 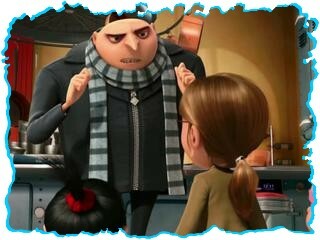 Perhaps you’ve received a sample of Charmin Freshmates or have seen a commercial for the Cottonelle Care Routine. Wipes are being marketed, particularly to men, as the new toilet paper. Big name NFL stars are being paid to promote them. Free samples are being mailed out and handed to eager consumers. These are big business right now. When stories about how these wipes are blocking the sewers first started hitting the Internet, I perused the comments at the end of those articles. To my amazement, it seems that a whole subculture dedicated to the use of wet wipes instead of t.p. has sprung up in recent years. Even celebrities were chiming in, implying that people are uncivilized or that they wouldn’t be in a relationship with them if they use “old school” toilet paper. It is clear that a growing number of people feel that toilet paper is uncool or unclean. Almost no one explains this problem better than Yorkshire Water’s Numptee. Click on the picture to watch one of his videos. Tinseltown Toilet Paper Foes who can afford swanky wipes aside, many of the regular people commenting on these sites passionately defended their “right” to flush those wipes. They said that the logical alternative, putting the wipes in the garbage, was just too inconvenient or smelly. Even though they had just reviewed an article that detailed the havoc “flushables” are wreaking upon taxpayer-funded infrastructure, that didn’t matter. They insist on using the toilet as a trash can regardless, which it is not. Where our wipes wind up, courtesy of the Washington Post. How would you like to be the guy using pliers, wire cutters, and brute force to get these wet wipes out of this equipment? Here’s our reality: Our sewer systems are aging. They’re also clogged with materials that they weren’t designed for. Fats, oils, and grease (FOG) and items that are not actually flushable are constantly having to be cleaned out of them. While human waste breaks apart as it rides the wave to the treatment plant, FOG solidifies and in some cases has to be chipped out of the pipes which can damage them. Diapers, wipes, tampons, and other personal items collect in the sewer system. Frankly this is a mess and much of it could be prevented if people would just use the garbage when appropriate. It doesn’t take much effort to pour your bacon grease into a tin can or wipe the mayonnaise off of your plate with a paper towel. Reach a few inches farther and your feminine hygiene product can go in that handy metal box. Diapers can go into a lidded container and wipes can simply be chucked into the garbage. If the odor is an issue, a garbage can with a lid works wonderfully. Garbage disposals, unfortunately, just add to the chaos; using them is still putting solid matter down the drain. Hot enough water will only rinse FOG and food so far before they solidify again– and that could be in your side sewer before it even reaches the sewer main. Enzymes and other biological treatments are sketchy– they might just allow the gunk to regroup later down the line as well. Ever had the sewer back up into your house? Not minding what you flush and what you rinse down the drain can be a surefire way to come home to ankle-deep waste you thought you’d never see again. Nope. That’s not chocolate. From Isle of Wight, VA. The American Society of Civil Engineers has given America’s wastewater (sewer) systems a D grade. This is in spite of the backbreaking work our public employees invest in this system every day. While we are putting so much money towards foreign aid, social programs, and politicians’ pipe dreams, our infrastructure is being neglected. Our roads, bridges, water mains, dams, airports– you name it– they need help. Much of our infrastructure is breaking down and that has a direct impact on our economy. Yet, by the millions, we are contributing to this decline by not being mindful of how our personal actions contribute to this problem. Capital investment needs for the nation’s wastewater and stormwater systems are estimated to total $298 billion over the next twenty years. Pipes represent the largest capital need, comprising three quarters of total needs. Fixing and expanding the pipes will address sanitary sewer overflows, combined sewer overflows, and other pipe-related issues. In recent years, capital needs for the treatment plants comprise about 15%-20% of total needs, but will likely increase due to new regulatory requirements. Stormwater needs, while growing, are still small compared with sanitary pipes and treatment plants. Since 2007, the federal government has required cities to invest more than $15 billion in new pipes, plants, and equipment to eliminate combined sewer overflows. From Seattle Public Utilities. See? These guys are thrilled that they’re going to the dump, not the netherworld of the sewer system!! Will that make you think twice about flushing cat litter or rinsing a bowl of moldy Jell-O down the kitchen sink? I hope it does. Every single one of us taxpayers is picking up the costs of actions that are detrimental to our infrastructure. After our recent economic decline, I doubt that a majority of us are willing to pay higher sewer rates to help pay for the damage caused by laziness and ignorance. Many people don’t even KNOW that they’re harming the sewer system (or their septic tank) because many products like wipes are marketed as sewer friendly! Did you hear about the 15-ton Fatberg that blocked London’s sewers? This was a conglomeration of FOG and wet wipes which was about to cause catastrophic sewer failure when it was found earlier this year. Smaller versions of this monstrosity are cleaned out of sewer systems around the world every day. And don’t let the word “small” fool you– some of these messes, often found in high density residential areas or where restaurants don’t have grease traps, are time-consuming and costly to clean up. Worse yet, many cities and counties don’t even have ordinances prohibiting the disposal of FOG and foreign objects into the sewer system despite the gargantuan fines that state and federal agencies can levy when a sanitary sewer overflow occurs. Technically this is littering, but because it’s hidden below ground, many people don’t even think about it until raw sewage, dirty needles, and diapers are bursting out of a nearby manhole. We don’t let people take their garbage to the nearest park and dump it in the middle of a playground. Why, then, are we not more diligent about protecting our infrastructure by having some basic rules about what goes down the sewers? And when we already have those rules, why are we ignoring them? Shouldn’t there be consequences instead of taxpayers having to pick up after violators again and again? The National Association of Clean Water Agencies has put together a very interesting website detailing this problem and offering solutions. 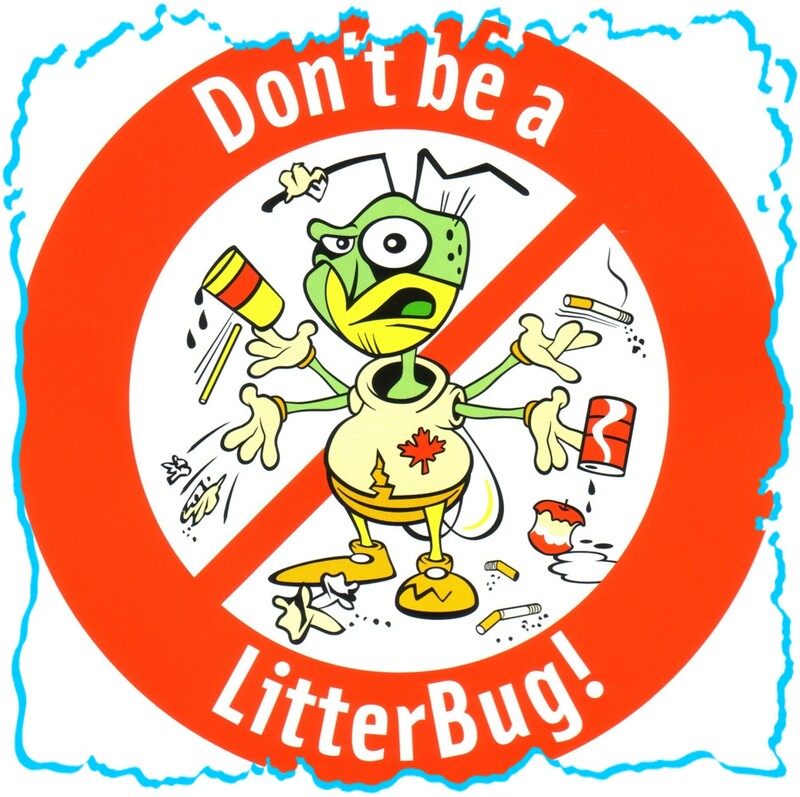 There you can read about the millions upon millions of public dollars being spent in the war on wipes, browse the varied educational materials, and learn more about what you can do as an individual to keep our sewers from backing up and our costs from going up. In the past five years the Orange County (Calif.) Sanitation District has spent $2.4 million on new equipment, and more than $300,000 in one year to unclog pumps. Columbus (Ga.) Water Works has spent $550,000 in two years on new equipment and $250,000 per year on additional operating/maintenance costs. The city of Vancouver, Wash., has paid more than $650,000 in five years for new pumps and equipment, and spends more than $100,000 each year on extra maintenance and electricity. Ultimately, this should be a cause of concern for the environmentally minded and fiscal conservatives alike (and yes, many people, like myself, are both). 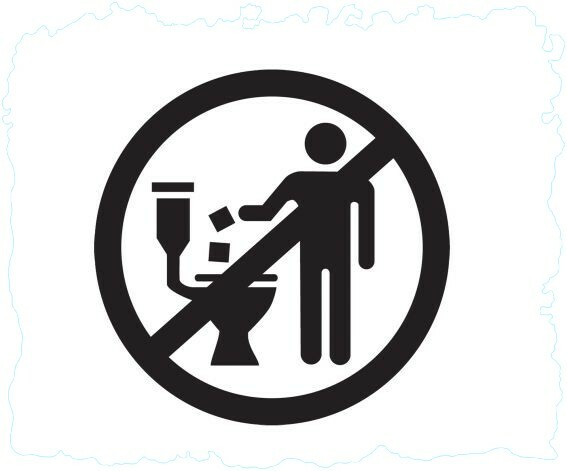 Even if the “don’t flush this” logo gets plastered on every single product that goes down the drain or toilet and shouldn’t, this problem will only be solved at an individual level. The bottom line is that we must consistently choose to put our garbage in the trash and– say it with me– only toilet paper, pee, and poo go down the loo (doot do doot, do doot doot, do do, doot). From the Vancouver Sun. My friend Frank and his dye test showing how wipes survive the wastewater treatment plant. This photo has been circulated nationally. I am very impressed with your article. I work in the wastewater field and I know just how detrimental the wipes and FOG is to our collection system and treatment plant. We have been battling the wipes and paper towels for over eleven years here. As a matter of fact, I am in the process of coming up with new public education for our city addressing the wipes again. They have increased tremendously in our system the past few years. I would very much like your permission to possibly quote some of your words on the pub. ed. we come up with. If not, that is ok too, I just had to tell you thank you for putting such a great article out there addressing the issues we in the field face on a daily basis. Thanks! As the office end of the Grease Police, I’m witnessing this become a nightmare for public agencies. http://www.iwsfg.org is accepting comments on its proposal until today, 9/1/17. That’s the International Water Services Flushability Group. Thanks for citing the source on quotes– and I write as a private citizen, not on behalf of any agency. believe you will be very interested in the environmentally friendly benefits of my brand new product, Wipe Aide, the toilet paper moistener. Wipe Aide is an environmentally friendly alternative to “flushable” wet wipes. Throughout this country and the world, “flushable” wipes are causing major and costly damage to municipal wastewater systems (please see the attached flyer). “Flushable” wipes are also causing costly problems for consumer’s plumbing and septic systems every day. Alarmingly, “flushable” wipes sales in the U.S. alone exceeded $500 million in 2009. Projections are for steady growth reaching $650 million in 2012. So, this problem is only going to continue worsen. Wipe Aide, toilet paper moistener, is an effective, economical and easy to use product that eliminates the need for flushable wipes. Wipe Aide makes toilet paper more effective and gives the consumer the moistened wipe, cleansing feeling they desire. And since only toilet paper is ever flushed down the toilet, there is never any damage to municipal wastewater treatment systems or the plumbing and pipes the feed them. Wipe Aide, the toilet paper moistener, customers absolutely love how easy to use and convenient Wipe Aide is. Wipe Aide evenly dispensing a mild cleansing solution onto your toilet paper by simply pushing down on the aerated, blotter head top. The Wipe Aide dispenser is refillable/reusable so it’s a tremendous value and consumers will quickly and easily spend money to buy such a economical product that has so many great benefits. That is why I am appealing to you. I truly believe that we can help each other. I have heard of programs whereby municipalities will purchase environmentally friendly, consumer products and make them available to the public at a very reasonable price (at cost or slightly higher) to raise public awareness. Of course, I am open to any suggestions that you have. I am looking to create an absolute win-win situation for you. At your earliest convenience, I would greatly appreciate discussing your thoughts and ideas about the tremendous benefits Wipe Aide will provide to your organization, your community and its residents. You can go to Wipe Aide’s ecommerce website to learn more: http://www.wipeaide.com . Please feel free to contact me anytime. Thank you for your time and consideration. On this blog I’m writing as an individual, not as a representative of any entity. But WEFTEC is one of the organizations that is heavily involved in the wipes wars. Their contact info. is at http://www.weftec.org/About_WEFTEC/page.aspx?id=256. It’s good to know there are alternatives– thanks for stopping by.